If anyone had suspected N’Golo Kante’s goal on the opening weekend against Huddersfield Town was a one-off, his performance in a 3-2 win over Arsenal confirmed it was not. The Frenchman has a very different role under Maurizio Sarri, whose side travel to Newcastle United on Sunday. 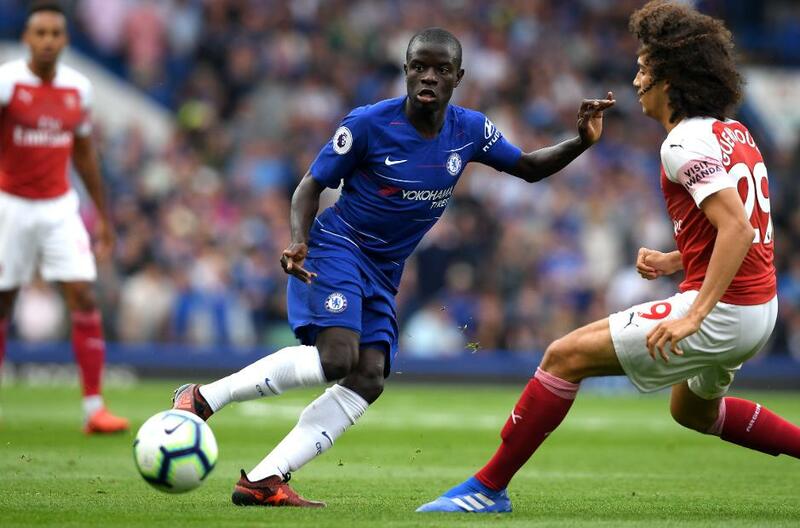 The energy was familiar; Kante covered 12.47 kilometres against Arsenal. What was different was where he was expending it. Kante’s three shots in the match were four times his average per 90 minutes last season and he created four chances for others too, more than any other Chelsea player. Even more unusually, he had five touches in the opposition penalty area. That is almost 10 times his average from last season. The most he managed in any of those matches was just two. Opponents will struggle to enjoy comfortable possession against Chelsea now that Kante has been freed up from his defensive duties to go hunting for the ball. But there are still concerns, and Sarri himself noted there was a "horrible" quarter of an hour against Arsenal. While the hope will be that it is not systemic, removing Kante from his holding midfield position does present an opportunity that Chelsea's opponents will look to exploit. In the opening fixture against Huddersfield Town, Jorginho did not make a single interception. That only happened with Kante once in 16 Premier League away matches last season, and he made six tackles in that contest. Against Arsenal, it was a similar story for Jorginho. He managed just one interception and one tackle. Kante, perhaps the outstanding midfielder of his type in the world, cannot have the same defensive influence now. At the John Smith's Stadium, he made only one tackle, something which only happened twice in the 30 full PL matches he played last season. Against Arsenal, he managed three but this was still below his 2017/18 average. More shots and more chances created but fewer tackles and interceptions; that is the trade-off Sarri is accepting when shifting Kante's position to accommodate the man who made his Napoli team tick, Jorginho.